Climate change threatens human health and well-being in many ways, including through more extreme weather events and wildfire, decreased air quality, and diseases transmitted by insects, food, and water. Climate change is increasing the risks of respiratory stress from poor air quality, heat stress, and the spread of food-borne, insect-borne, and waterborne diseases. Extreme weather events often lead to fatalities and a variety of health impacts on vulnerable populations, including impacts on mental health, such as anxiety and post-traumatic stress disorder. Large-scale changes in the environment due to climate change and extreme weather events are increasing the risk of the emergence or reemergence of health threats that are currently uncommon in the United States, such as dengue fever. Key weather and climate drivers of health impacts include increasingly frequent, intense, and longer-lasting extreme heat, which worsens drought, wildfire, and air pollution risks; increasingly frequent extreme precipitation, intense storms, and changes in precipitation patterns that can lead to flooding, drought, and ecosystem changes; and rising sea levels that intensify coastal flooding and storm surge, causing injuries, deaths, stress due to evacuations, and water quality impacts, among other effects on public health. 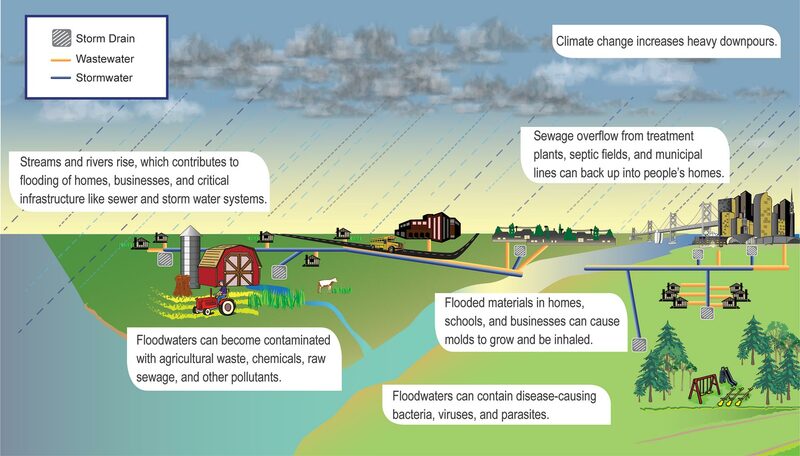 Climate change threatens human health and well-being in many ways, including impacts from increased extreme weather events, wildfire, decreased air quality, threats to mental health, and illnesses transmitted by food, water, and disease-carriers such as mosquitoes and ticks. Some of these health impacts are already underway in the United States. Responding to climate change provides opportunities to improve human health and well-being across many sectors, including energy, agriculture, and transportation. Many of these strategies offer a variety of benefits, protecting people while combating climate change and providing other societal benefits. Diarrheal disease is a major public health issue in developing countries and while not generally increasing in the United States, remains a persistent concern nonetheless. Exposure to a variety of pathogens in water and food causes diarrheal disease. 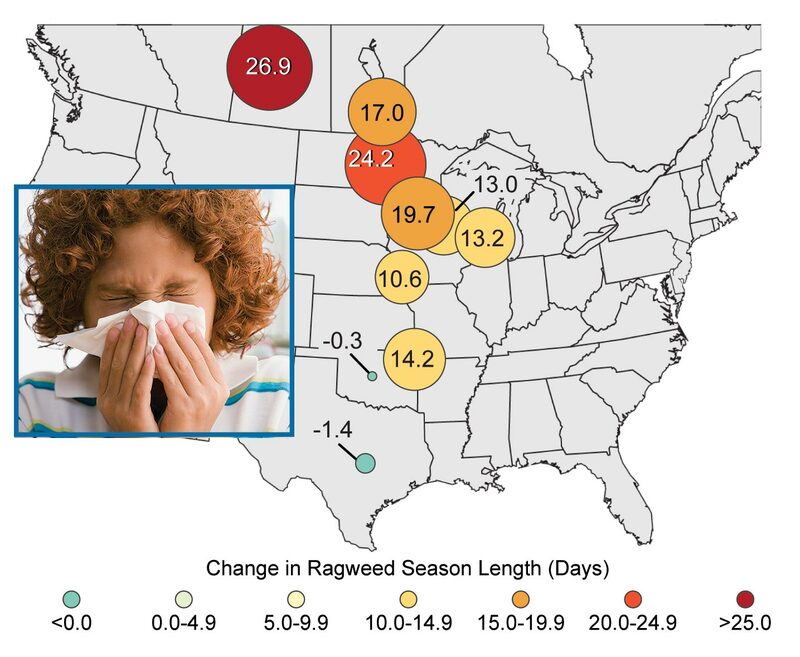 Air and water temperatures, precipitation patterns, extreme rainfall events, and seasonal variations are all known to affect disease transmission.50,51,52 In the U.S., children and the elderly are most vulnerable to serious outcomes, and those exposed to inadequately or untreated groundwater will be among those most affected. The maps show projected increases in the average temperature on the hottest days by late this century (2081-2100) relative to 1986-2005 under a scenario that assumes a rapid reduction in heat-trapping gases (RCP 2.6) and a scenario that assumes continued increases in these gases (RCP 8.5). The hottest days are those so hot they occur only once in 20 years. Across most of the continental U.S., those days will be about 10ºF to 15ºF hotter in the future under the higher emissions scenario, increasing health risks. 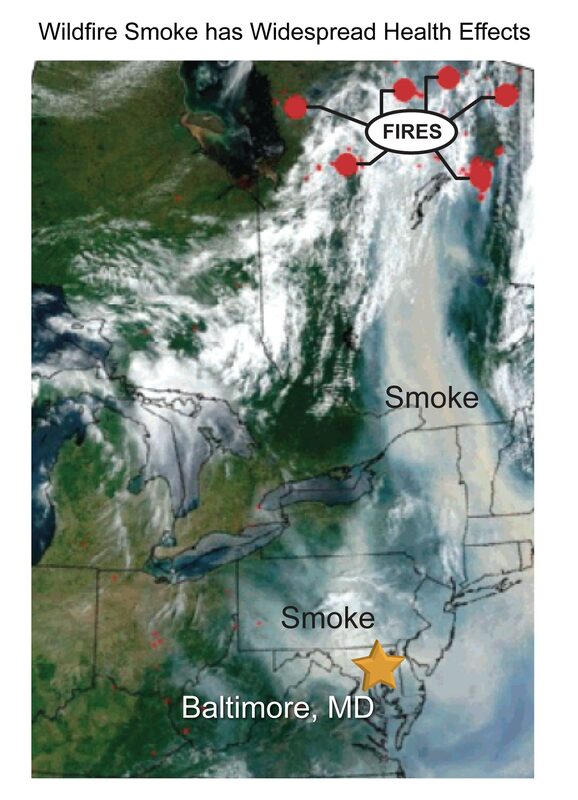 (Figure source: NOAA NCDC / CICS-NC). The development and survival of blacklegged ticks, their animal hosts, and the bacterium that causes Lyme disease, are strongly influenced by climatic factors, especially temperature, precipitation, and humidity. Potential impacts of climate change on the transmission of Lyme disease include: 1) changes in the geographic distribution of the disease due to the increase in favorable habitat for ticks to survive off their hosts;122 2) a lengthened transmission season due to earlier onset of higher temperatures in the spring and later onset of cold and frost; 3) higher tick densities leading to greater risk in areas where the disease is currently observed due to milder winters and potentially larger rodent host populations; and 4) changes in human behaviors, including increased time outdoors, which may lead to a higher risk of exposure to infected ticks. The maps show the current and projected (for 2080) probability of establishment of tick populations (Ixodes scapularis) that transmit Lyme disease. The projected expansion of tick habitat includes much of the eastern half of the country by 2080. For some areas around the Gulf Coast, the probability of tick population establishment is projected to decrease by 2080. (Figure source: adapted from Brownstein et al. 200593 ).